Where there is water....there is life! Deep Springs CEO Michael Ritter, who earned his Masters in Public Health at Emory University, returned to his alma mater recently to serve as a water expert for a unique event. On March 23rd, nearly 150 students from 24 universities across the United States and three foreign countries gathered in Atlanta to compete in the sixth Emory Global Health Case Competition. Teams included undergraduate, graduate and professional school students from multiple academic disciplines. Mr. Ritter mentored two of the 24 student teams who competed and collaborated to develop innovative solutions for critical global health issues. We are excited that we can play an indirect role in public health initiatives beyond the scope of our current projects in Haiti! Health Agents go Extra Mile! 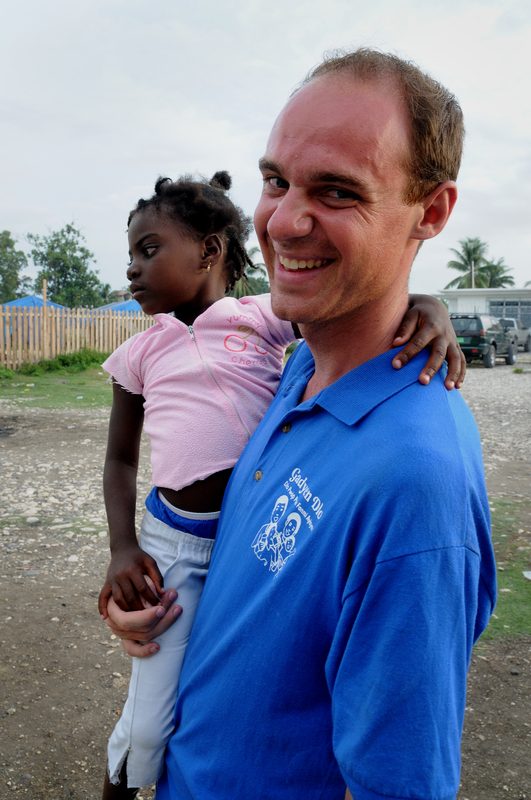 Our supervisors in Northern Haiti recently met with the 21 Health Agents in the Plaine du Nord region. These Agents work jointly for Deep Springs and the Haitian Ministry of Health. To the supervisors’ delight, they learned that these Health Agents are so motivated to help save lives and improve health that they have been going the extra mile. They have been holding community meetings with families they are not required to visit as part of their Ministry of Health responsibilities. 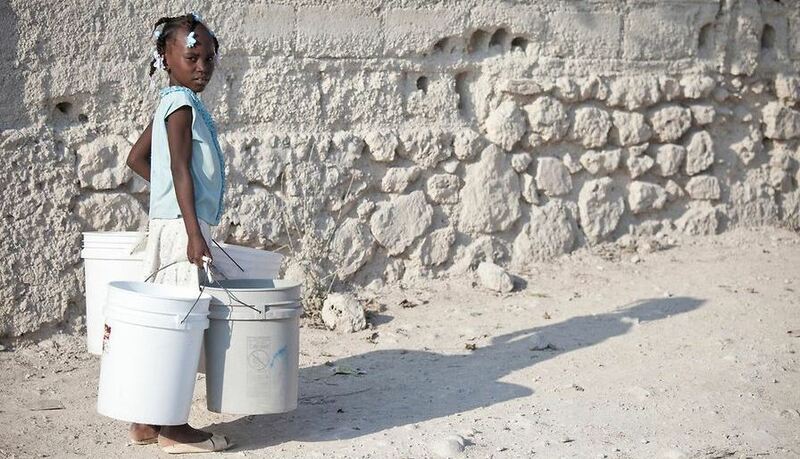 It is this personal commitment that will enable us to reach all 900,000 families who lack clean water in rural Haiti. The demand is so great that the Agents recently ran out of our bucket systems! 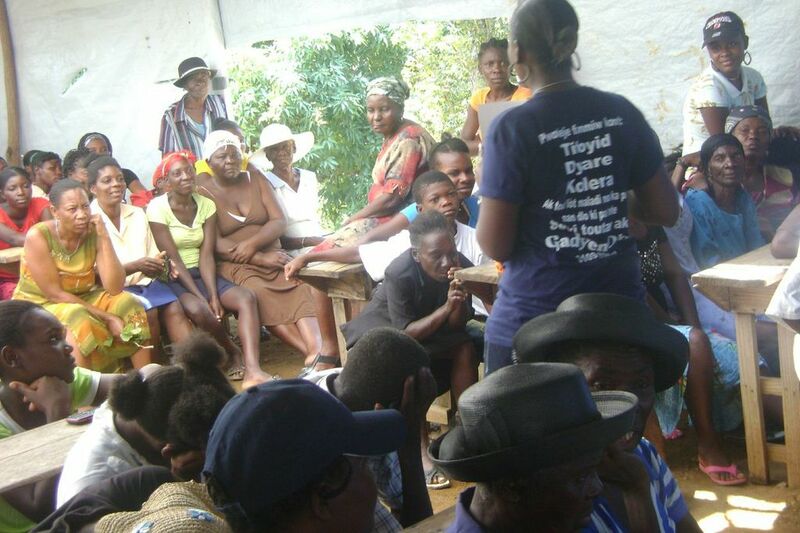 Recently 50 Health Agents attended the quarterly meeting for the Leogane area. We are so excited that sales in the past quarter were higher than first quarter of 2012. 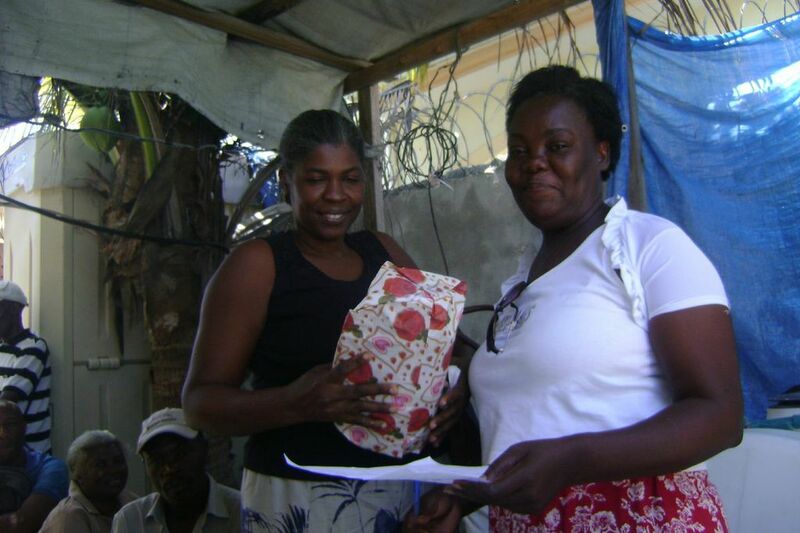 To encourage this excellent performance (which is a key indicator of sustainability) top sellers received special gifts which the Supervisors had personally selected and bought in Port-au-Prince. In addition, Supervisors decided to create a two-tier structure for Agents in order to incentivize sales even more. Congratulations for a job well done! For World Water Day, Health Agents invited families to a special event and 252 people met at a local church made out of old relief tarps. The Supervisors talked about healthy behaviors and how trees can protect water sources. They conducted an activity with cards in which participants were asked to identify healthy and risky behaviors, and did skits and demonstrations about how to treat water properly. Participants even testified about how they used to get stomach aches but haven't had them since using our Gadyen Dlo brand chlorine. 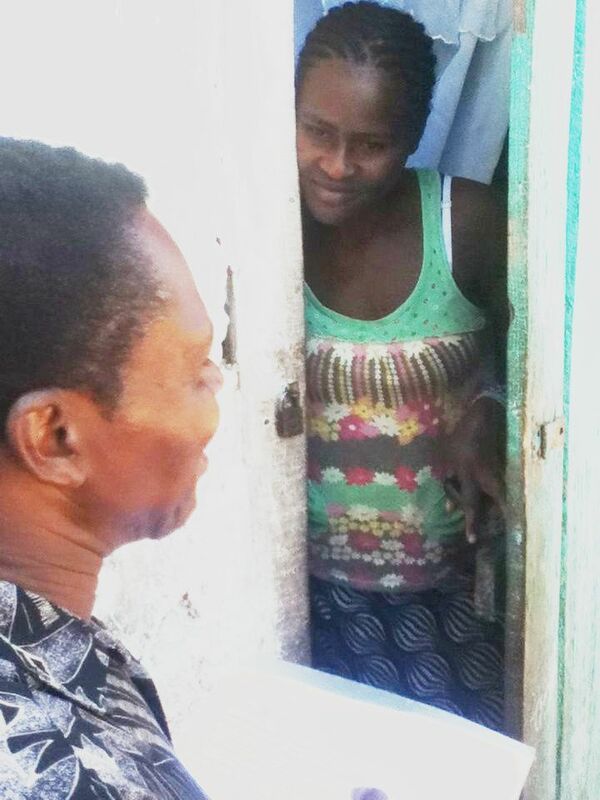 Some people shared about how they had been drinking water from canals since they were little, but other participants explained how things are different now – riskier due to cholera - and why it's important to treat water since there are people and animals who bathe in the canals. 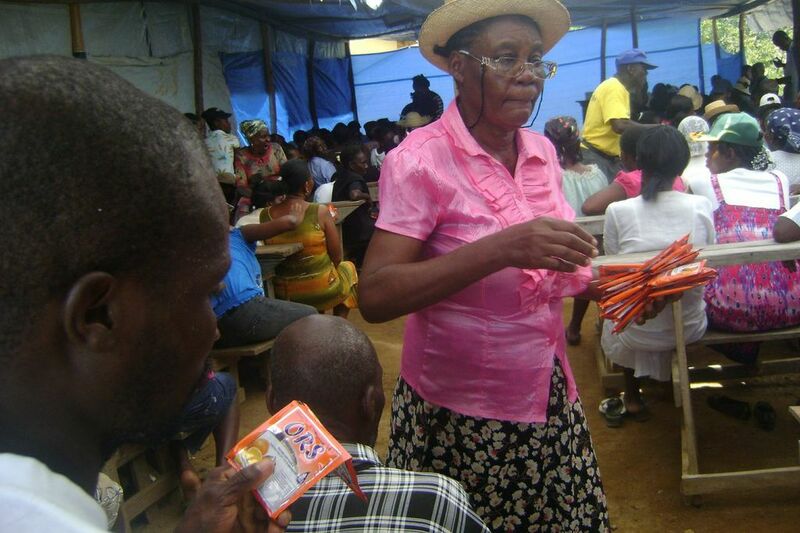 Health Agents also distributed soap and oral rehydration solution (ORS) to wrap up the fun and educational activities. We are preparing for the launch of our new program Buckets of Life! Stay tuned for more details....this will be an exciting way for individuals, families, and even groups like classes, scout troops, etc. 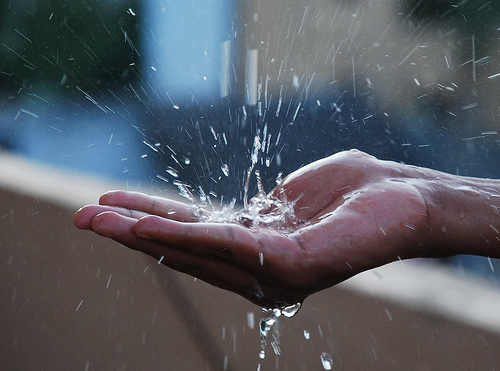 to help struggling families with water purification systems they need to improve their health. And start saving those pennies... because it only cost 3 cents a day to provide safe water for a family!! !